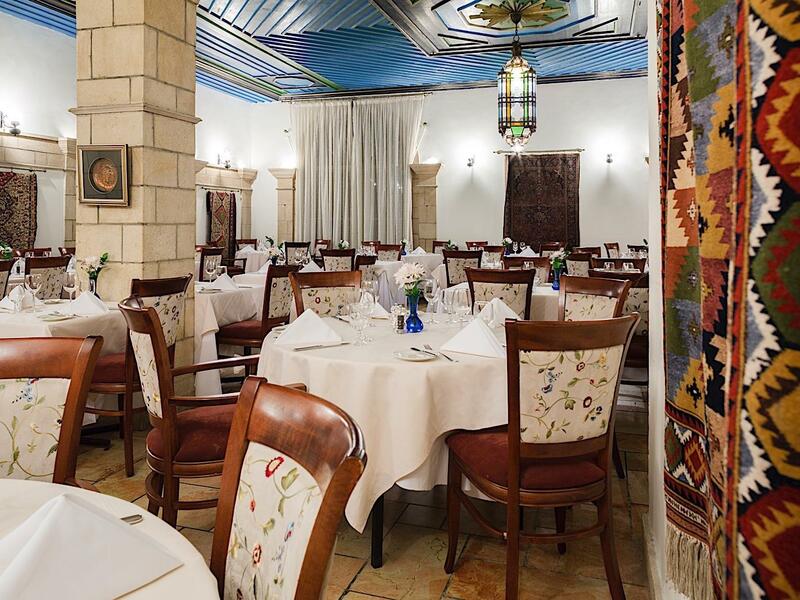 The main dining room of the hotel, located in the Main House. 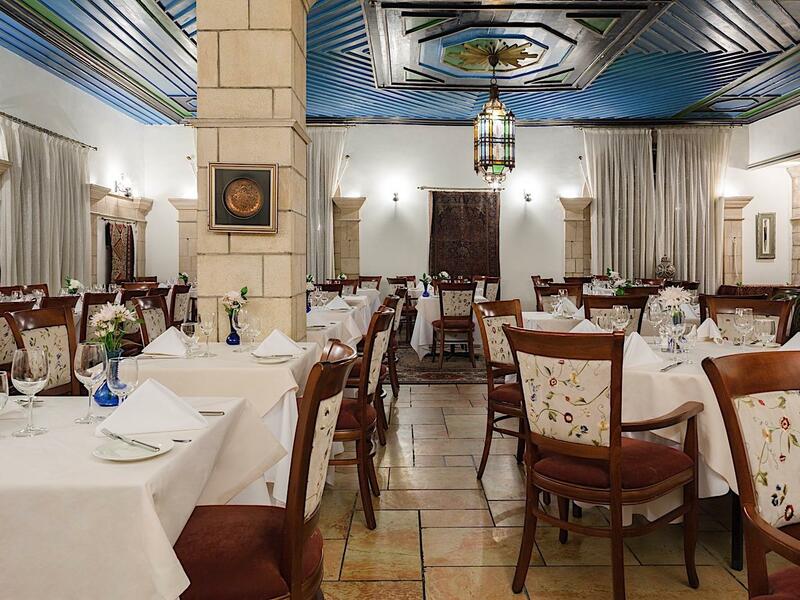 In a gracious traditional setting, we offer a varied menu which includes Middle Eastern dishes as well as a varied international gourmet menu. 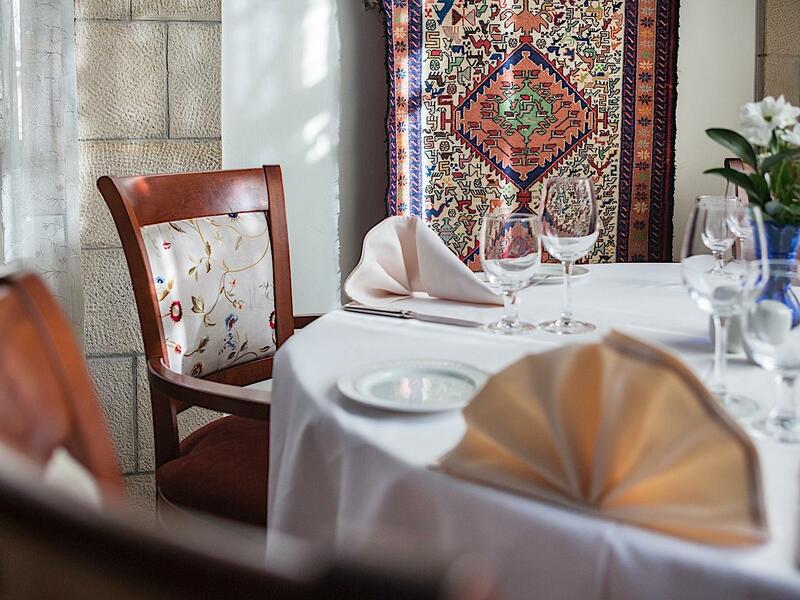 In The Arabesque we serve international and local wines including some from the many boutique wineries in the area, from bottles stored in our private wine cellar. Lunch: 11:30 15:00 (only on Saturday & Sunday).